It feels a lot like fall here in Central PA! I had a fantastic weekend filled with apple picking, baking, hiking, and watching soccer games. It was a great break from the 90° temps we were having earlier in the week and got me in the mood for apple crisp and pumpkin lattes. 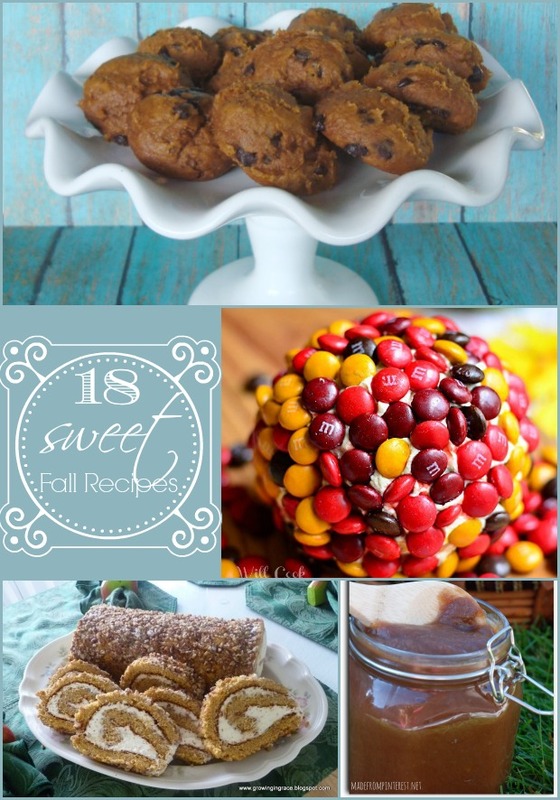 Speaking of delicious fall recipes, be sure to check out last week’s features of 18 sweet fall recipes. There are some highly delicious looking recipes that you all created! I’m looking forward to seeing all of the creative projects you all have posted this past week. The rules for this link party are very simple. If you’d like to link up, please do me the courtesy of linking back with a text link to this post within your post. Thanks! Awe, looks like you had a lot of fun at the Apple Orchard with your family! Thanks so much for hosting, have a great week! Thanks for hosting Beth… great apple orchard shots! Thanks so much for hosting, Beth! I sure do love the new link method! Your apple picking outing looks like the perfect was to spend a fall day. Don’t you love this time of year? Enjoy your day! Thanks so much for hosting! What a fun way to see everyone getting ready for fall! Though I hate to see the end of summer, the cooler weather is indeed nice. Thanks for the great party Beth & have a terrific week. Thank you for hosting Beth!! Love your autumn orchard pictures! Have a great week. Not quite feeling like fall down here in Southern California but it’s definitely fall inside my house 😉 We plan to go apple picking next weekend. Thanks for hosting, have a wonderful week Beth! Beth! How in the world did I not know that you are in central PA?! I live in Pittsburgh and grew up near Somerset, so not too far away! I like your blog even more now, if that’s possible! 😉 Thanks for hosting another great party! Have a wonderful week! Cute pictures!! Please send some of the cooler Fall weather to California! Thanks so much for hosting this Linky Party Beth! Looking forward to taking a closer peak at all the creative awesomeness posted in here. I live in TX but have always wanted to go pick apples at an orchard. What fun! Thanks for hosting. Thank you so much for the party, Beth! Thanks so much for hosting! Your apple pictures are so fun. Hope you have a wonderful week! 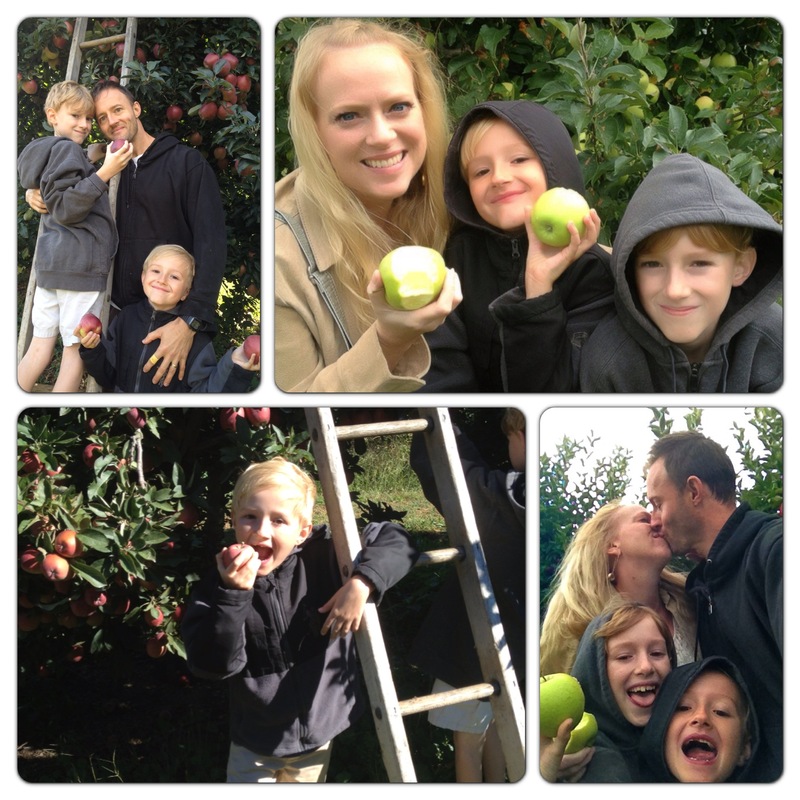 Love the apple picking pictures…so cute! I’m looking forward to some apple picking and the following baking as well. Fun! Thanks so much for hosting! The weather here in Illinois has been really similar–super hot last week and now we’re finally getting a break! I love your family picture at the orchard–so cute. Thanks for hosting! Thanks so much for hosting! It looks like you had a great weekend. I still have to take my boys apple picking. I hope you have a wonderful week!